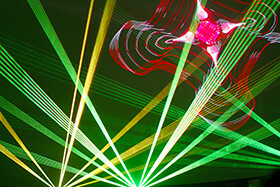 Formed in 1995 by laserist Mike Dunn, FirstLight was originally created to serve the needs of the planetarium and science center laser light show community. 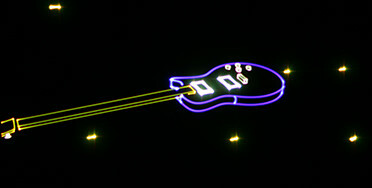 Over the years our clientele has expanded to include some of the largest laser show companies and producers worldwide. FirstLight has provided programming for venues and events around the world, serving customers ranging from Fortune 100 companies to municipalities to high profile events. Our programing has been seen everywhere from local holiday celebrations to the MTV Video Music Awards and world tours. In addition, FirstLight has been recognized by its peers with several awards from the International Laser Display Association and Laserist's Choice Brewster Awards.